The West Side Alliance Youth Academy Program is a "year round" soccer p rogram for the young, aspiring, and ambitous soccer player. The program begins at the "6U" level (2nd season) and runs through the players 10U year. The Academy will provide higher level training and competition, allowing aspiring youths the opportunity to train and excel in a fun, engaging, and challenging environment. Every child will be allowed the opportunity to "unlock the game within themselves" to ensure they reach their full soccer potential. Players will have an opportunity through training activities to learn individual skills, motor development, ball mastery, agility, balance, coordination, and speed. 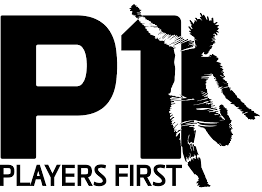 All players will receive an innumerable amount of touches on the ball each practice through our 1 BALL:1 PLAYER principle and our fast footwork, ball mastery and coordination exercises. 2. Clear, Concise, Correct information: Be brief, clear and relevant. 3. Simple to Complex: Start without the ball then introduce the ball, walk through, to full speed. Begin with smaller numbers, progressing to larger numbers, adding spatial relationships and tactics from isolated and simple to dynamic and more complex concepts. 4. Safe & appropriate training area: Safe environment for training and games.
. Preparation: Each "step" of the curriculum is preparation for the "next step"